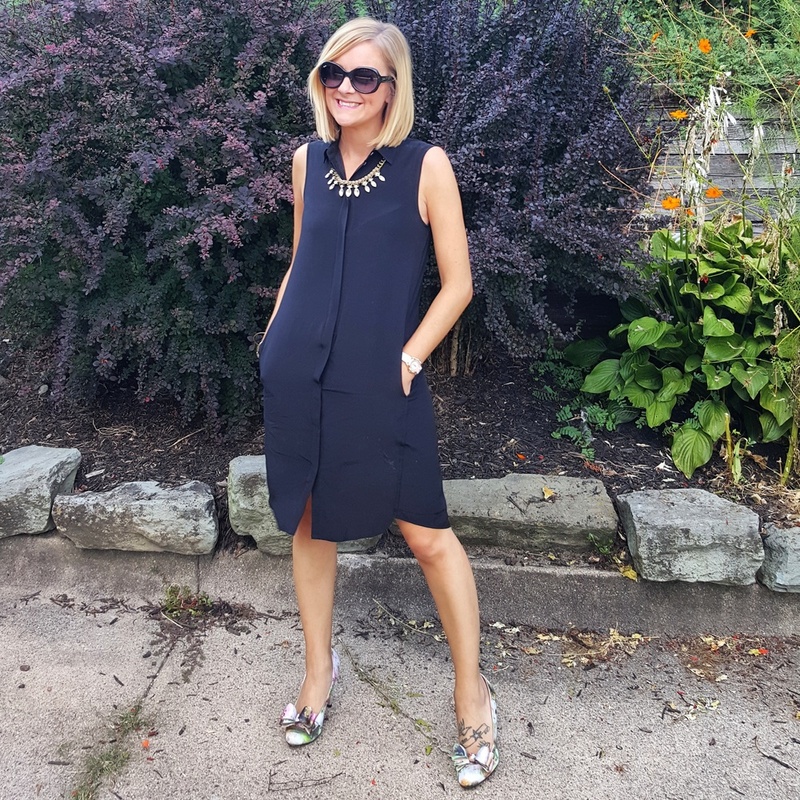 I've done a few menswear looks over the course of my blog, but this collared sleeveless shirt dress is a favorite for sure! Found on super final sale clearance from jcrew for less than $20 after fall! And... pockets ladies, pockets!!! Necklace was Ann Taylor Loft for $6 after xmas, and shoes were $17 at Goodwill this weekend! Shoes are Juicy Couture, never worn. And the BOWS!